Divorce Lawyers based in London‎. Specialists in UK and International Divorce Law. 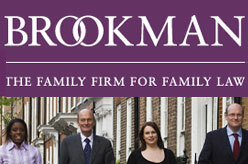 Brookman Solicitors expertise in a full range of family legal matters including divorce in the UK and internationally, complex financial issues, property settlements and children’s matters.